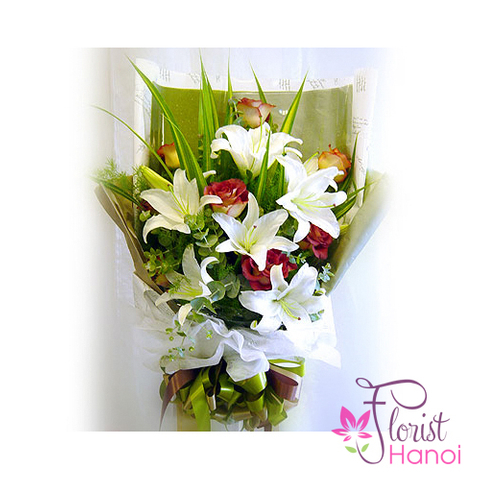 Close your eyes and imagine that you are lying on a field of flowers and the cool grass gently tickles your ears and the sun warms your serene face. 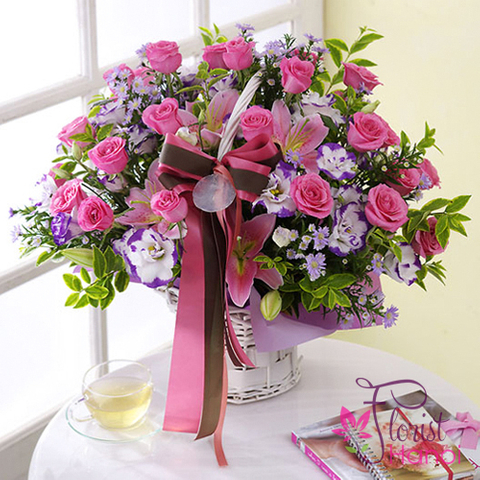 Your gently get up and gather one by one the lovely pink roses that have send their dreamy scent to you. 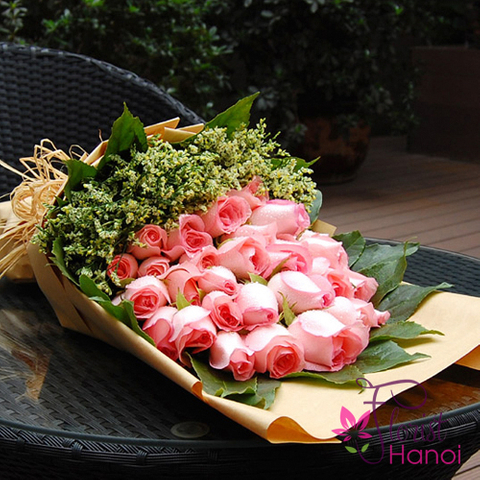 Then the white santini smile at your through the leaves and you don not hesitate in picking them up and place them in an embrace with the roses. 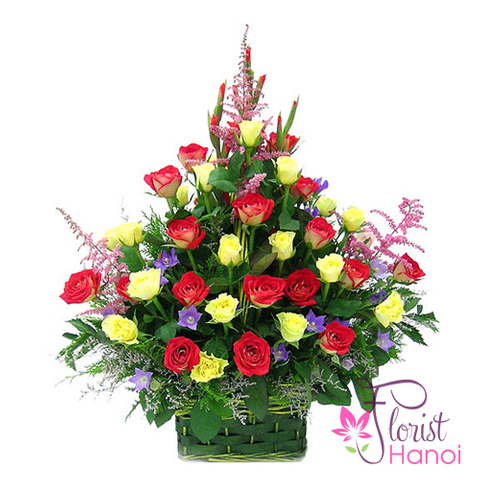 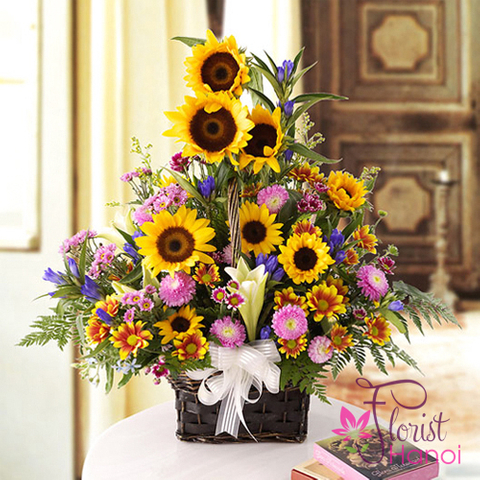 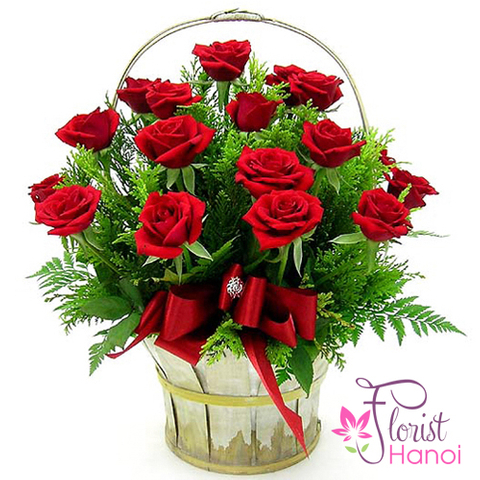 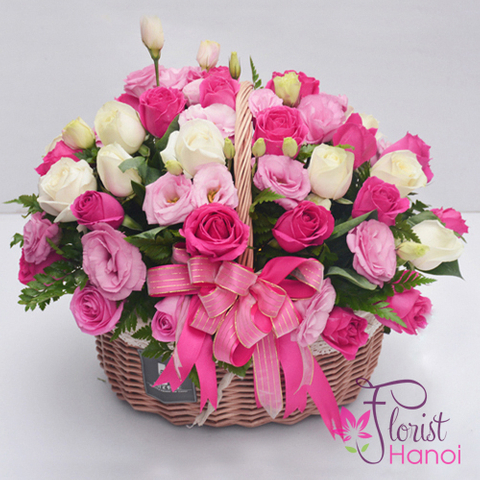 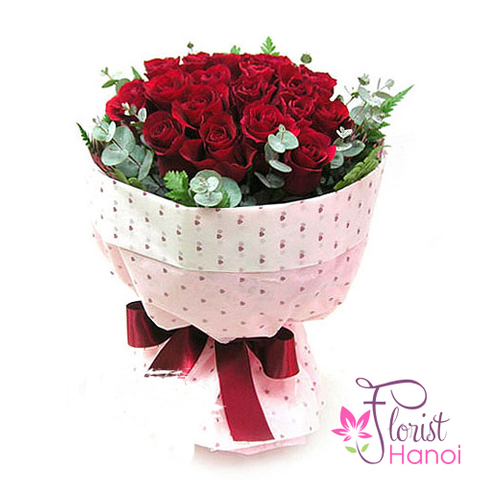 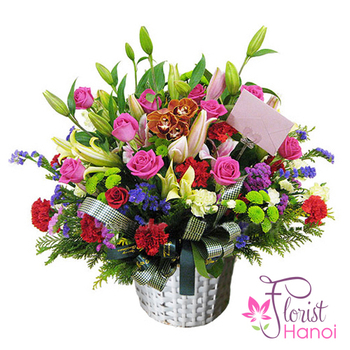 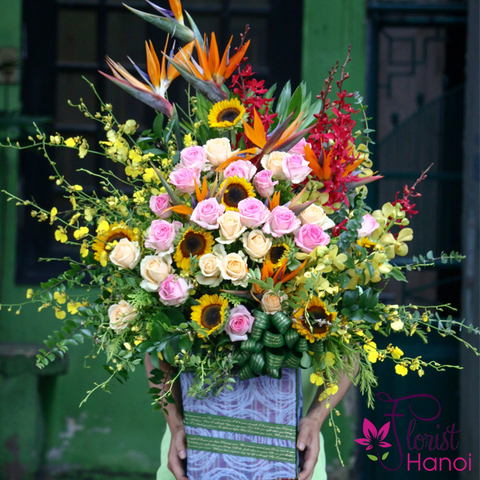 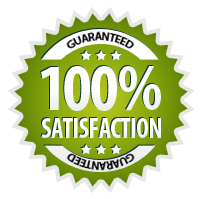 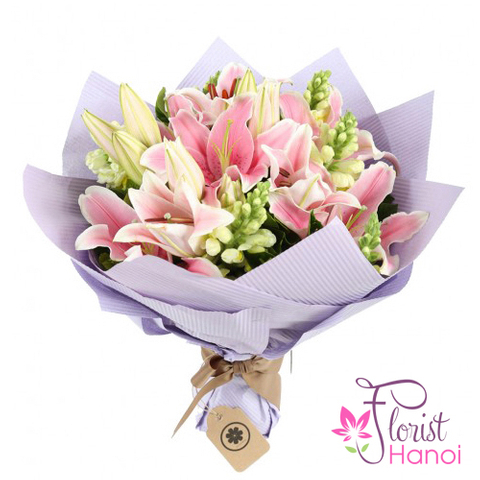 Not before leaving the wonderful flower field you take in your arms the lity flowers, symbol of appreciation in an ideal floral arrangement, which you lovingly offer to those special persons in your life.